7.1" x 9.0" stitched on 14 count. 5.6" x 7.0" stitched on 18 count. 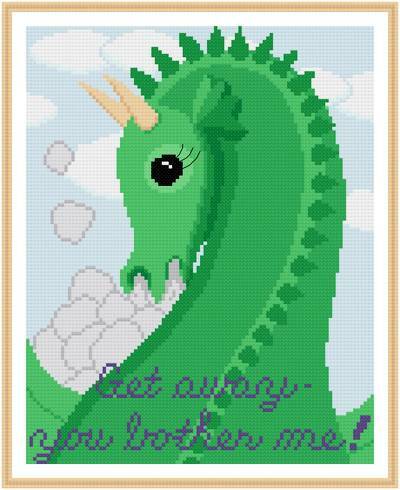 Get Away cross stitch pattern... This dragon is looking over its shoulder as it tries to fly away from an irritation. Smoke warns of the imminent explosion of fire that could be released. The image contains the words, Get away - you bother me!